16 Motivational Affirmations To Push You Forward. Motivation is the most important ingredient in any endeavor. 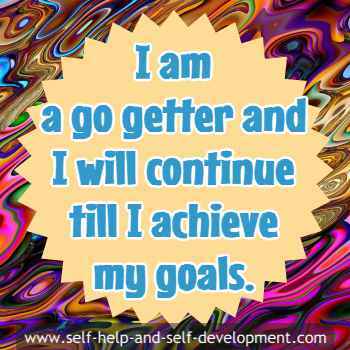 Motivational affirmations will provide you with the necessary strength to start and complete any task that you undertake. It is motivation that starts the action necessary to reach a goal. Without motivation, one may start with a bang but end in a whimper. Motivation is the protein that builds the muscle and carbohydrate that provides the energy when one is engaged in a goal oriented task. 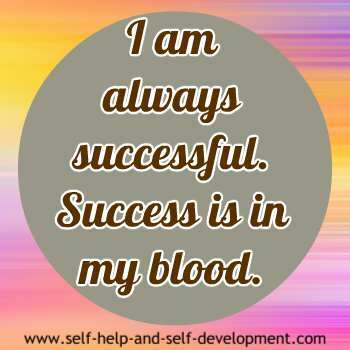 Affirmations provide the fuel for the action. You may start without motivation. But if you repeat these affirmations regularly, a time will come when the urge to do will come from the inside without any prompting. Action will be on auto pilot till you reach the goal. It has been found that we radiate the thoughts that occupy our mind the most. They in turn attract circumstances favorable to these thoughts and people having similar thoughts. Motivational affirmations will attract towards you circumstances that will motivate you and people who will help you achieve your goal. Another great resource for motivation is quotations. Quotations contain the gist of the wisdom of successful people. Their words come from their experience of life, hence they are invaluable. Famous Quotes contain a large number of motivational quotes. Go through them regularly. 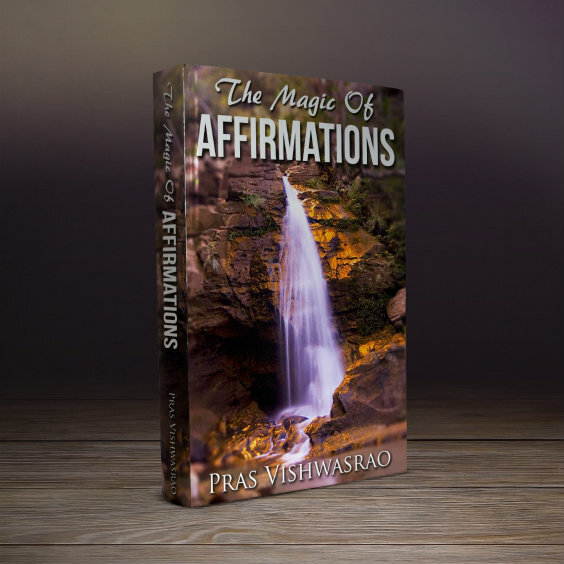 Like all affirmations, motivational affirmations are also easy to prepare. Just think about the task at hand and observe the positive thoughts that come to your mind. “I will do it”, “I will overcome”, etc. 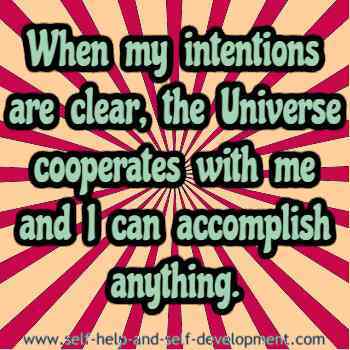 Formulate these very thoughts into your affirmations. The following examples will show you how. 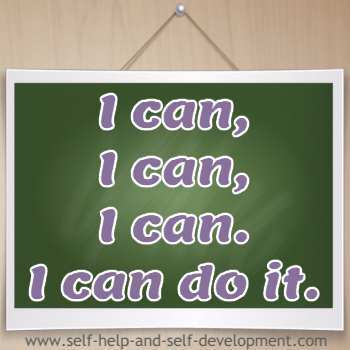 I can, I can, I can. I can do it. and I can accomplish anything. I think of only positive things and positive things happen in my life. till I achieve my goals. 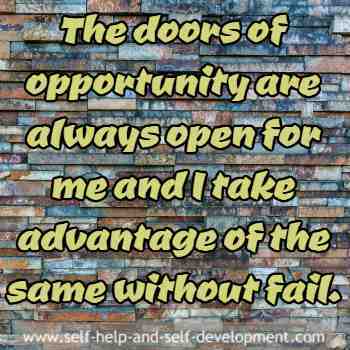 The doors of opportunity are always open for me and I take advantage of the same without fail. 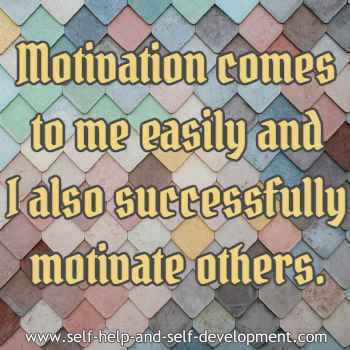 I also successfully motivate others. 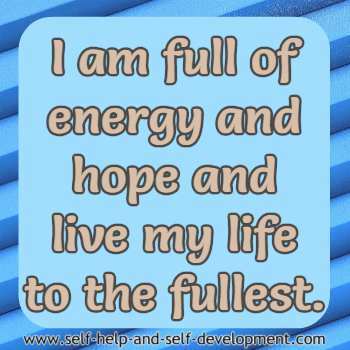 I am full of energy and hope and live my life to the fullest. I enjoy challenges. I take them head on and win over them. Motivation comes to me from inside. I am my own motivator. The only option for me is success. I forge ahead and ultimately, succeed. I know I make a difference and I try my best to help others. My goal itself is my motivation. I see only the goal till the time I reach it. I know my worth. I deserve success and I get it. My work is my motivation. I work continuously till I achieve. Life is beautiful. Life is fulfilling. I love life. You can prepare many such affirmations yourself. Use them diligently and see their positive effect on your life in a few months.